'Marine Energy Development. Taking Steps for the Developing the Chilean Resource' was developed by Errázuriz & Asociados. The report reviews the ocean energy potential in Chile and analyses the changes required in regulatory framework to allow the deployment of it. The document focuses on parallels with the Scottish ocean energy experience. Scotland is used as an example of a country where the government has put in place a number of policies and support mechanisms to support the development of the marine energy sector. 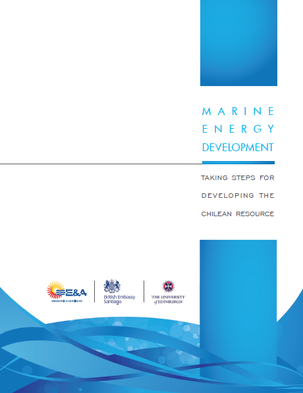 The report culminates with assessing the potential strategies the Chilean government could implement to support the marine energy sector, and presents a number of public policy recommendations. The Policy and Innovation Group co-authored this roadmap.